China to provide humanitarian aid to cyclone-hit Mozambique, Zimbabwe, Malawi. 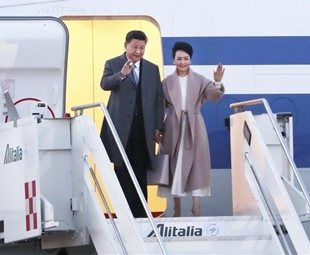 President Xi Jinping left Beijing Thursday for state visits to Italy, Monaco and France. Xi was invited to pay the visits by Italian President Sergio Mattarella, Head of State of the Principality of Monaco Albert II and French President Emmanuel Macron. ​Italian Prime Minister Giuseppe Conte said Tuesday that closer cooperation with China within the framework of the Belt and Road Initiative (BRI) is in line with Italy's national interests. Chinese President Xi Jinping's upcoming visits to Italy, Monaco and France are expected to inject new impetus into China-EU relations, a senior official said Wednesday. ​A signed article by Chinese President Xi Jinping titled "East Meets West -- A New Chapter of Sino-Italian Friendship" was published Wednesday in leading Italian newspaper Corriere della Sera ahead of his state visit to the European country. 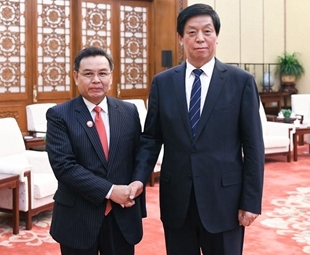 Li Zhanshu, chairman of the Standing Committee of the National People's Congress (NPC), on Tuesday met with Xaysomphone Phomvihane, president of the Lao Front for National Construction. 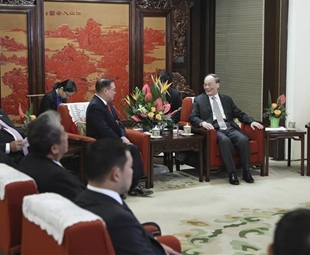 Chinese Vice President Wang Qishan met with a Philippine government delegation led by Foreign Secretary Teodoro Locsin, Executive Secretary Salvador Medialdea and Finance Secretary Carlos Dominguez on Tuesday. 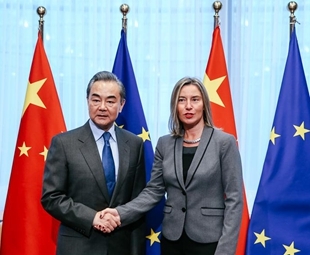 Chinese State Councilor and Foreign Minister Wang Yi said in Brussels on Monday that China and Europe have consensus in 10 aspects.